Here’s a free film idea. Our hero, once an underling, starts hitting above his weight in the global arena. Through diligence (and tax incentives), he emerges as a prize fighter. He takes on a protégé. And the protégé is now a contender, too. It could be a Sylvester Stallone retread, but it’s also the story of Toronto and Hamilton and their stature in the film industry and, by extension, the film industry’s heft in the commercial real estate market. The industry in Toronto is busy, especially among service companies working on U.S. productions, from film shoot services to preproduction and postproduction. Booking a sound stage isn’t impossible, but it’s difficult, and available film crews are hard to find. 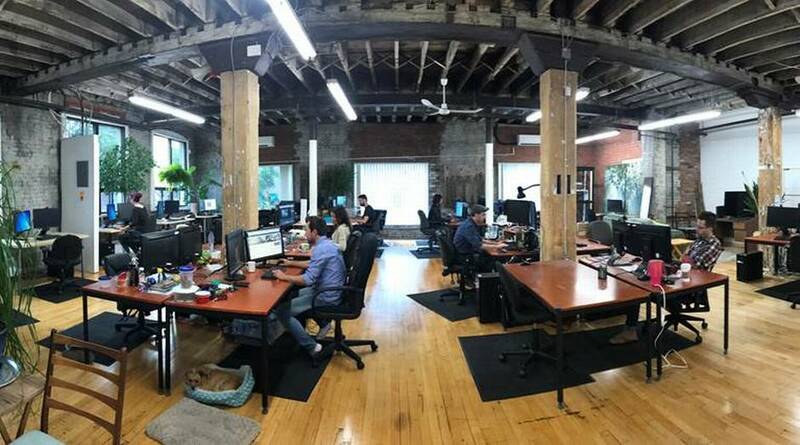 Hamilton is looking to attract more of that overflow work, and it’s selling itself on the city’s relatively less expensive office rent and creative spaces. It’s a similar tale in Vancouver and its satellite communities of Langley and Maple Ridge. Really, it’s the story of any Canadian city (Calgary, Winnipeg, Halifax) and their creative industries benefiting from being an alternative to Toronto, Vancouver and Montreal. For instance, Glen Norton, director of economic development for Hamilton, is pitching the city as a prime locale for a new sound stage, given how heavily booked they are in Toronto. Usually a cluster of boxy warehouses festooned with technical features for film shoots, sound stages require sizable plots of land near the city core. A difficult combination. “That’s where we see an opportunity. We’re saying that we have that land, and that it’s probably less than half of the cost of a similarly sized parcel of land in Toronto,” Mr. Norton said. “And we also have a whole bunch of the people who work in this industry, because our housing has been affordable. The way the city [Hamilton] has grown, we have people who are driving down the QEW [Queen Elizabeth Way] every morning who are going to work at Pinewood and the other studios in Toronto. “Wouldn’t it make sense if one of those companies developed a studio here, with pre- and postproduction capabilities, and then you can save on costs?” he said. It’s a strategy already in vogue. The $28-million Calgary Film Centre opened last spring with three sound stages totalling 50,000 square feet and another 25,000 feet in workshop and storage space, all with the promise of being an economic boost for the region. Yet Hamilton still has a way to go. Filmmakers and production companies are already there. Many are senior producers working on original Canadian content, who are working with smaller budgets than big Hollywood or international productions and can therefore feel crowded out of the core film cities. Mr. Norton would like more of these creators to see Hamilton not just as a location for shooting but also as a permanent place to set up offices. “We have half-a-million square feet of vacant office space in our downtown. Some of that is old brick-and-beam. There is a building called the Right House [the historic former department store anchoring the downtown] that would be ideal for that. And some are plain office towers, with fully open floor plates,” Mr. Norton said. Rents are generally between $10 and $12 a square foot, he emphasized, far lower than rents in creative-minded neighbourhoods in Toronto. 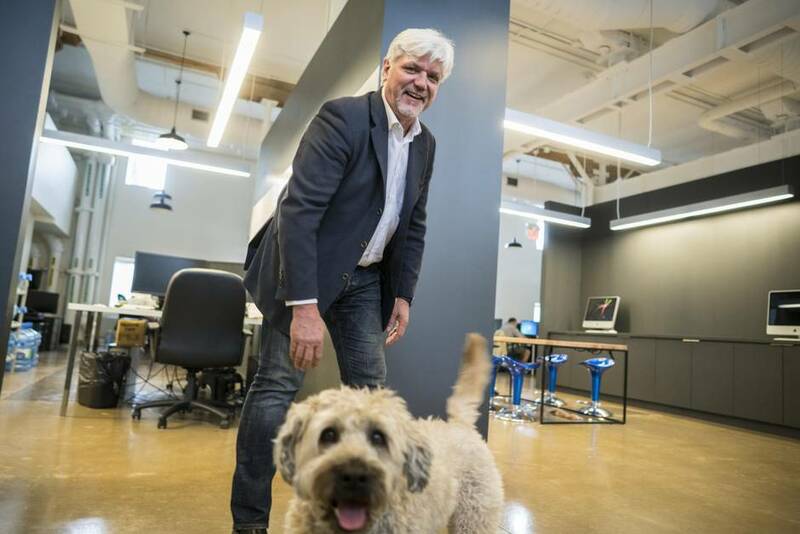 Dan Krech is one industry veteran who has taken the cue, opening a sister studio in Hamilton for his Toronto-based animation company Awesometown Entertainment. “My history is a long history,” he said, noting his experience in setting up animation companies as far afield as Hawaii. More recently he also opened a studio north of Toronto in Huntsville, but it’s enough of a distance for the pool of animation talent in and around Toronto that it was hard to attract filmmakers over the winter. “What we’re finding is that we have people who live in Mississauga and Burlington who would prefer to work in our Hamilton studio. So it’s becoming sort of a super-cluster, as far as the two cities go. Both the Toronto studio and the Hamilton studio fit our culture really well,” he said. Broadband is a challenge, however. “The cost of broadband is one thing more expensive than in Toronto. And the actual services are not as reliable. I mean, that’s our circulatory system, that’s our production flow between the two cities. Ideally, our studios need to respond as if Hamilton was in the next room,” he said. The initial attraction for companies like his, though, is provincial tax incentives. Incentives in Ontario, as they are in other provinces, are generous but complicated. Very basically, productions in Ontario outside the Greater Toronto Area can receive a 10-per-cent tax bonus, on top of a 35-per-cent tax incentive on labour expenses. This means a total tax credit of 45 per cent. The amount of filming, Canadian content and postproduction also enable other ways to qualify for the tax breaks. “The reason we went there was because of the tax incentive, but now there’s more than just the incentive as a reason to be there. It’s the community,” Mr. Krech said. She sees this problem of finding affordable space and overflowing work across the country. “We have a reputation in Canada, which is great, for great service production [companies], incredible crews and talent. Vancouver is particularly prolific in service production coming up from the U.S.,” she said. But it can become a continuing problem, too, for productions, she indicated, noting that CBC’s The Romeo Section had been one of the few larger-budget Canadian television productions able to find space in Vancouver. “The larger centres are really almost at capacity,” Ms. Creighton said. Mr. Norton hopes this phenomenon will continue to draw production companies to cities like Hamilton. “We have been so many different cities [on film]. We have been Washington, New York. We have been Mexico, and the deserts of Afghanistan and Iraq on the piles of sand and slag down on our waterfront. 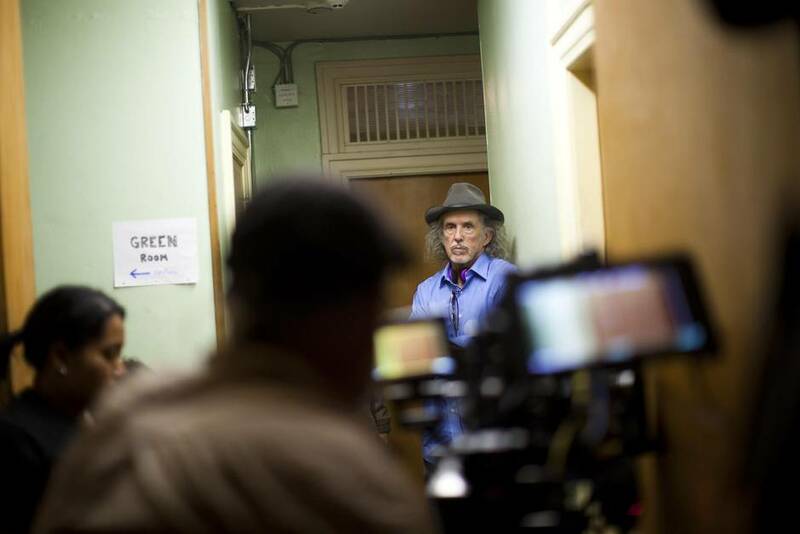 One of our slogans for filming is, ‘Everywhere is here,’” Mr. Norton said. 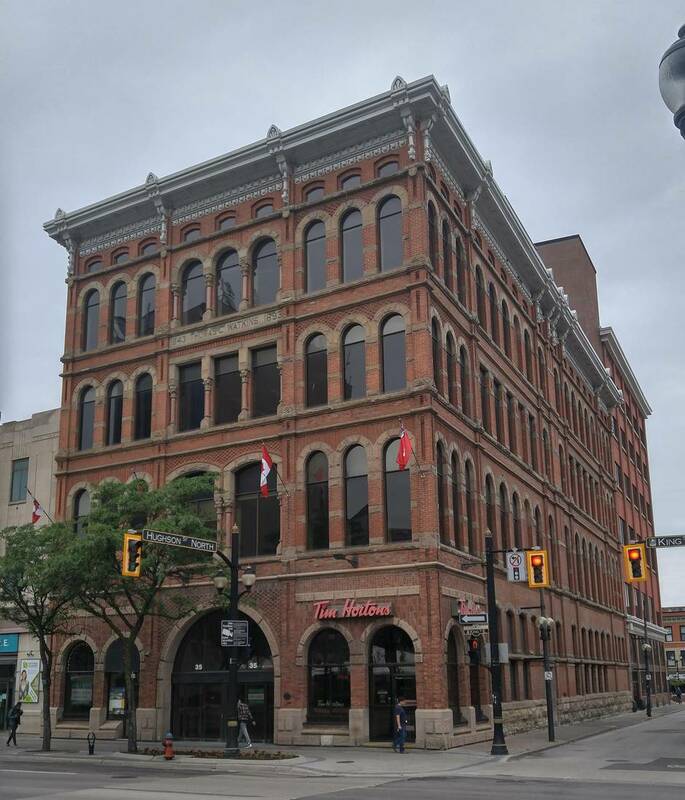 The trick will be for Hamilton and its office real estate market to be seen not only as a temporary location set, but as a place to set up shop more permanently.